A message viral online claims that CIA Apologizes to Osama Bin Laden after finding new evidence which clears him of involvement in 9/11 Attacks. It says CIA issued a Posthumous Apology to the family of Osama Bin Laden. Despite the claims, the message that CIA Apologizes to Osama is not a fact. The claim in question originally appeared from an article on The Onion website theonion.com published on 9th Jan. 2019. The article carried the same title – “CIA Issues Posthumous Apology After New Evidence Clears Osama Bin Laden Of Involvement In 9/11 Attacks“. Accordingly, CIA made a judgmental error rushing in response to the unimaginable tragedy of 9/11 attacks. 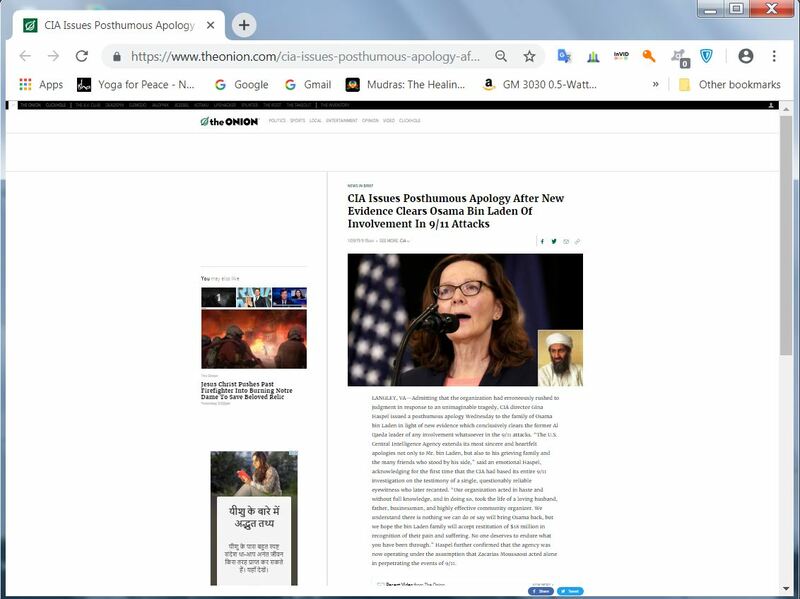 In light of new evidence, the U.S. Central Intelligence Agency (CIA) director, Gina Haspel issued a posthumous apology to the family of Osama Bin Laden, the article added. Surprisingly, the same day, Yahoo Entertainment also published the article citing the source The Onion. It was however taken down later. Nonetheless, many online outlets picked up the story and online discussion boards like 4chan (later deleted) and reddit also mentioned it. The message became popular henceforth. The Onion, like many already know, is a satirical publication which has been around for years. It in fact originated as a weekly print publication in August 1988 in Madison, Wisconsin and has been publishing satirical and fictional content on international, national, and local news. 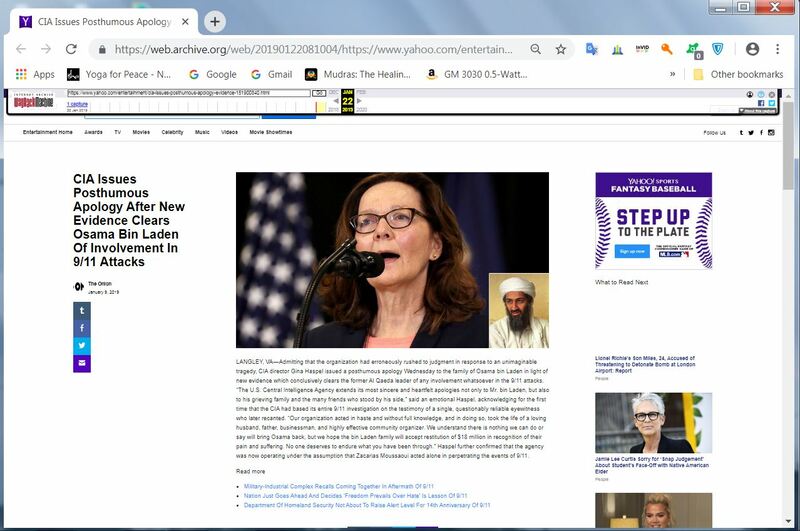 So, the claim that CIA Apologizes to Osama in 9/11 attacks is a hoax message which originated from a satirical publication.